[NEWS RELEASE] TAMPA, FL. — August 11, 2010. The Florida State Fair's new slogan is 'THE BEST TIME OF THE YEAR'. 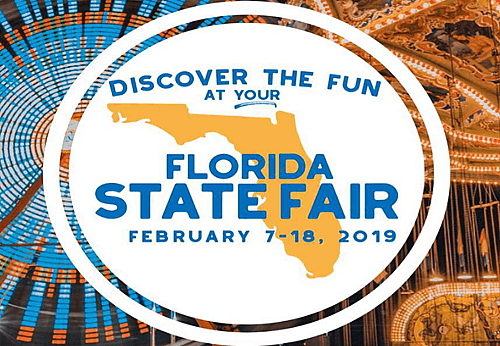 The use of a changing theme from year to year will be eliminated in favor of adopting a slogan that represents the Florida State Fair brand throughout all elements of its marketing campaign. "It became apparent to us after some initial research that we needed to implement a consistent and cohesive brand identity for the Florida State Fair," said Rip Stalvey, Director of Marketing for the Florida State Fair Authority. He added that, "Some of the most recognizable brands in the world do not change their logo or slogan every year, otherwise customers would not be able to remember them as easily. 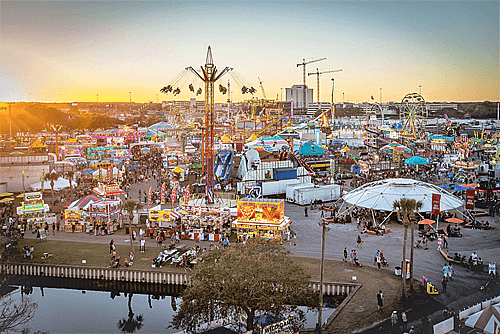 By branding this new slogan consistently year after year, we will position the Florida State Fair in the mind of our customers as a once a year, MUST SEE event, that should not be missed. They will also come to remember fondly that experience and want to come back every year." The Florida State Fair plans to get back to basics by emphasizing the things people know and love about the annual event. According to a 2010 on-site survey, fair visitors indicated that they were influenced to attend the Florida State Fair by these factors: 1. Food 2. Entertainment 3. Livestock 4. Cracker Country -- a rural Florida Living History Museum 5. Rides The Florida State Fair's marketing campaign will engage people with fun and creative promotions to emphasize these core elements. The marketing campaign will kick start in December with the announcement of the Florida State Fair's entertainment line-up and early discount ticket sales available for purchase online and at the Fair's Box Office.